Hi friends! I hope you are having a good week. We are not doing so hot. Brady and I have caught the stomach bug that Parker has. Please keep your fingers crossed that this will pass quickly so that Brady can go back to school and that I can take care of my kids instead of laying on the couch in pain. Here's another card I made for HYCCT. This is for Taylor's challenge to use glitter, bling and all things girly. I used my Paper Smooches Hope set for this card. I added Cotton Candy Divine Twine, Stickles, and bling as my girly elements. 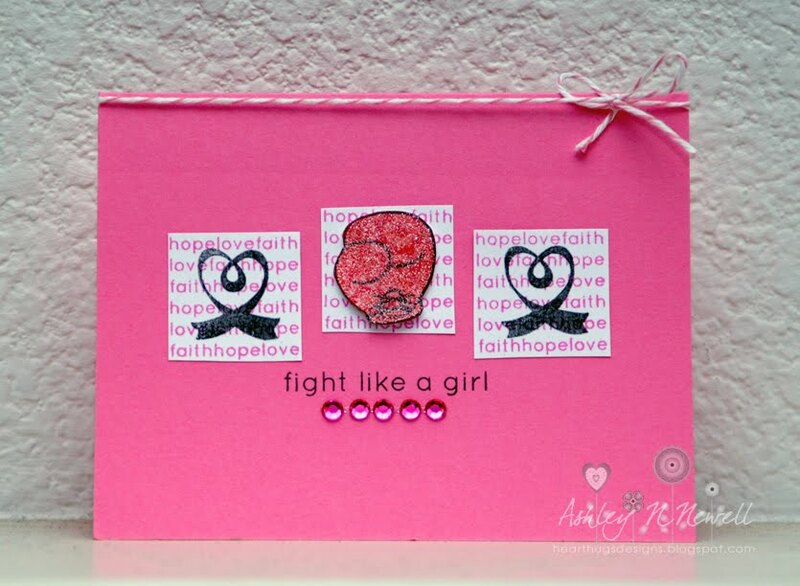 fun card ashley....hope that you're feeling better...the stomach flu is thee worst. i hope you feel better soon! Love the card! 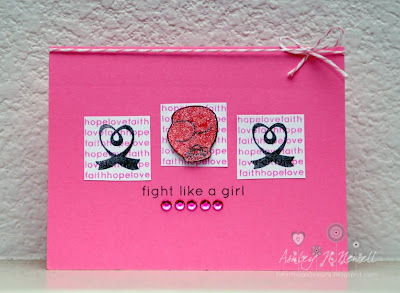 LOVE this card--love the small inches with the words--and those stamps are FABULOUS! LOOOOOOOOOVE PS:) Hope you are doing well!! MISS YOU! Love your card! The pink glove is awesome and so is the sentiment!